When news first hit that Chris Cornell was joining with the instrumentalists from Rage Against the Machine to form a new band, unlike most other people I knew, I was incredibly disappointed. Chris Cornell has been one of my favorite musicians since I first discovered his music. While others gravitated to the sound of his voice - a remarkable voice the likes of which has never existed in rock music before or since - what always stuck with me about Cornell was his compositional sense. His melodies are complex, his sense of rhythm is complex, his lyrics are haunting. His approach to writing songs involves some very unique approaches that I have studied closely and tried to absorb to the greatest extent possible. Meanwhile, the guys from Rage Against the Machine have always been vocal critics of musical complexity, exalting in their dedication to total simplicity. Early interviews with Tom Morello revealed him to be a judgmental, pretentious man who looked down his nose at anyone who wanted to play complex music. It wasn't enough that he had his own thing going on, he scornfully referred to more complicated music as "masturbatory." So for me, it was like pairing Bach with Ja Rule. But, I admit that I was curious. So on my day off, I made a trip to the local CD store, where at the time they had CD players loaded with new releases that customers could listen to before buying. I found the Audioslave station and gave the CD a chance. Immediately, I was struck by the simplistic riffs, the amount of compression applied to Cornell's vocals, and the general absence of everything that I loved about Soundgarden. The truth is, I didn't really give the album a fair chance. I let my disappointment cloud my judgment, pressed "stop" and moped out of the store. 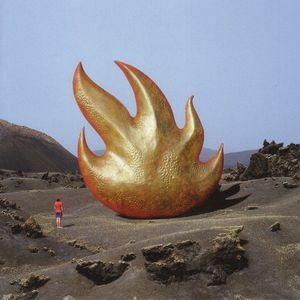 That remained my opinion of Audioslave, the band and the album, until a few years later when a friend bought me tickets to see Audioslave live in concert as a birthday present. I decided that I had better catch up on what the band had been doing since I walked out of that CD store all those years ago. By then, the band was touring in support of their second album, and had a couple of major hits on rock radio. The concert ended up being great, really great. I was impressed. It was finally time to give Audioslave the album a second, fairer chance. Then, as now, I heard an album that is good, overall. Certainly not as strong as Soundgarden's material, nor as strong as Cornell's solo work, but it occupies a unique sonic space in Cornell's oeuvre. The simplicity of the instrumentation is certainly palpable. There is a lot of sonic space in all of the songs. Morello, for his part, had already used up all of his fast licks by 2001, so the guitar work is certainly nothing to shake a stick at. The bass work is relatively flat - it lacks the kind of spark that a more knowledgeable bassist could give music like this. The drums are well engineered and sound nice, but they may as well be a drum machine. Meanwhile, the vocals, for the first time in Cornell's career, show real signs of struggle. The album's initial track (and initial single), "Cochise," is supposed to be a hard-hitting, bellowing metal song. But the riff is lifted directly from Led Zeppelin, and the vocals are a far, far cry from "Slaves and Bulldozers." The album's other major single, "Like A Stone," is a much quieter effort, one that would ideally give Cornell a chance to display the sometimes stunning softer side of his voice. Instead, his vocals sound nasally, bored, disaffected. All that is to say that Audioslave is decidedly not an album of great performances. What redeems the album is the quality of the songwriting. As poorly executed as the studio version of "Like A Stone" might be, the melody is absolutely infectious. The bridge is tender, with a refreshingly elegant chord progression. The song works - the live performances were testament to that fact. Its sister song, "I Am the Highway," is even better. In fact, I've never met a person who has heard that song and hasn't ended up with it stuck in their head. Other songs on the album, like "Set It Off," give us hints of the Audioslave that would eventually develop over their tenure. There, we finally get our mix of Cornell's screaminess and Rage Against the Machine's R&B-tinged hard rock. This is the band that would, years later, pen songs like "The Original Fire," songs that represent a truly unique take on good old fashioned hard rock. Occasionally, I dig this album out of my collection and give it a spin. Its best moments make me smile, but at the end of the day I have to admit that for the most part I forget most of the songs as soon as they're over. I'm glad that Audioslave became a better band as they continued to play together, because if they had released only their self-titled debut, they would have been as forgettable by grunge god standards as The Talk Show.